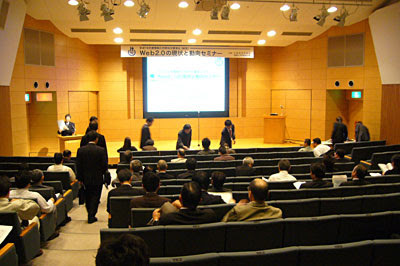 I participated a panel discussion in a seminar event sponsored by METI and some other organizations in Japan. They say October is the month for informatization. November 1st at Softpia Japan in Ogaki city, Gifu pref. * METI is the Ministry of Economy, Trade and Industry. * The original post of this was written in Japanese.